Amber Lawrence was given a guitar for Christmas when she was 22 by her then boyfriend. "We started having ... guitar lessons and it was all lovely and romantic until we broke up. And then I was a bit heartbroken, a bit sad and therefore started writing songs," she tells Music Love on the phone from her car as she leaves the Channel Ten studios after an interview late last month. "At that time I was actually listening to country music and the songs, they all came out like country songs and that was the beginning of it for me. When I kicked off my career as a musician, which was really by accident, it was country music all the way." So what was she doing before country music? With a finance degree under her belt, Amber had become a Charted Accountant and was working at Qantas. 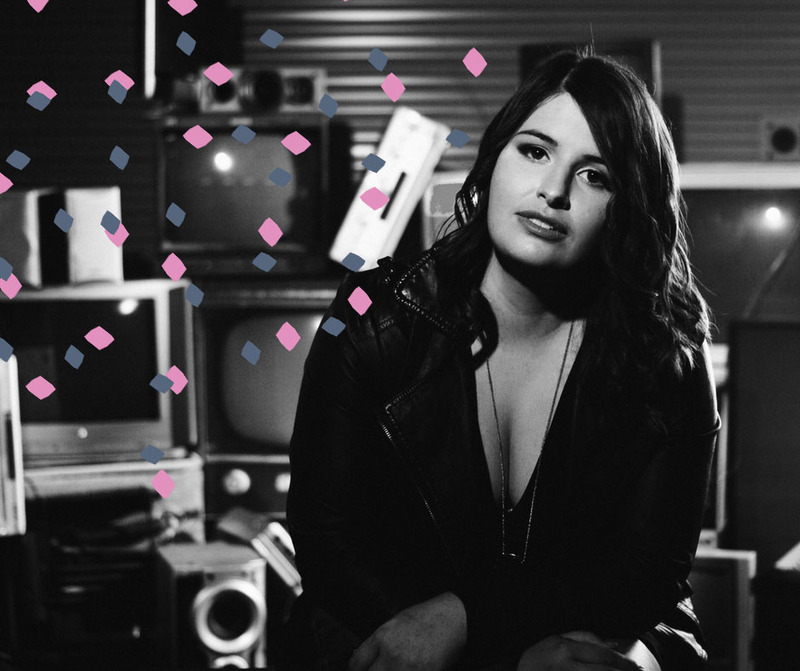 Despite the late surprise start, Amber has become an important thread in the fabric of country music in Australia. Since 2006, Amber has released nine full length albums, is a two time Golden Guitar winner, and been nominated for many more. This year, Amber was surprised to find out that she was up for a whopping six Golden Guitar awards for her release with country artist Travis Collins, Our Backyard. On top of the award announcements amidst her tour with Travis, this year, Amber has written, recorded and released a Christmas album for children - more on that soon - and spent a lot of time touring with country artists Fanny Lumsden, Catherine Britt and more. Last year, Amber released her first children's album The Kid's Gone Country. Inspired by her nieces and nephews, and also by the children who attended her show. "I've always had a lot of kids come to my shows. It's always been family friendly. I think it's because I am energetic on stage and they like that. My songs are inspirational, about chasing your dreams." After a successful release with a song called My Big Mack Track racking up 1.3 million video views, Amber wanted to follow up with another album for kids, and decided Christmas was the perfect opportunity. Her album Aussie Aussie Christmas and its single by the same name is a refreshing take on a summery Christmas in Oz, and will no doubt resonate with children - and adults - all over the country. Amber was influenced in the early days by Alanis Morisette and Jewel, and now finds inspiration from many Australian artists. Slim Dusty's daughter Anne Kirkpatrick for her grounding and humility - "She's inspirational in terms of her approach to music...." Beccy Cole - "She's always improving her live show, always thinking outside the square," Tania Kernaghan - "She's just a real down to earth woman... and hilariously funny too." And of course, Kasey Chambers - "For her songwriting and she took plenty of knocks early on in her career and keeps going, and keeps reinventing herself. I love that." Aussie Aussie Christmas is out now. Follow Amber on Facebook and Instagram.